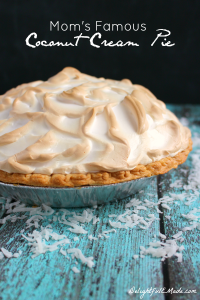 The most amazing strawberry pie recipe you’ll ever have! 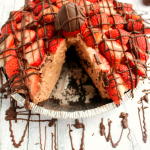 Not only is this recipe easy and no-bake, its made with fresh strawberries, cream cheese and a Golden OREO crust. It’s perfect for Easter, Mother’s Day or any spring or summer celebration! I definitely feel that spring is upon us. Trees are budding and flowers are slowly breaking through the soil with blooms bursting with color. Spring also means Easter and spring celebrations. I especially love the time we get to share with family during Easter. It’s a great time to step back from the busy schedule (even if just for a day) and share a wonderful day together. Growing up my family always gathered after Easter Mass, and had a big ham dinner with all the trimmings, and that always included pie for dessert. 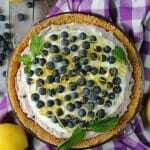 My mom would typically make her Famous Coconut Cream Pie and another fruit pie like strawberry or blueberry. 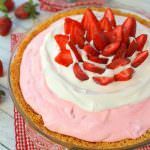 This Creamy Strawberry Pie would certainly be one that would fit in perfectly for any family Easter celebration! 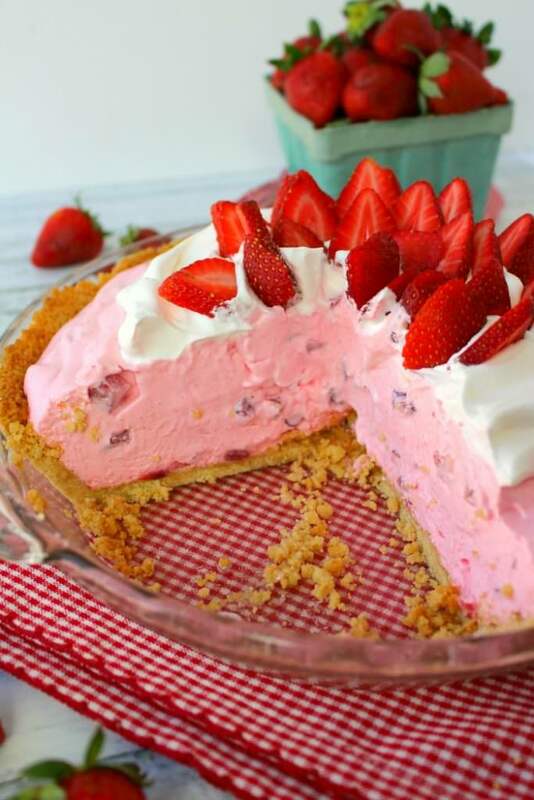 I particularly love how easy this strawberry pie recipe is to make. 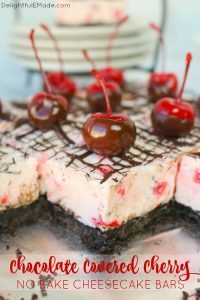 It’s a no-bake recipe, much like my Lemon OREO Icebox Pie and my Chocolate Covered Strawberry Pie. 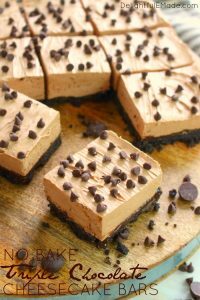 You have the option of either chilling or baking the crust for a few minutes, but the filling and topping is all no-bake. 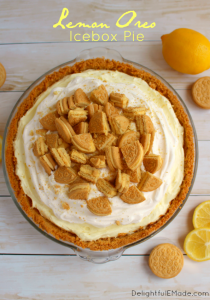 That fabulous crust is actually made with Golden OREO’s, which adds an amazing flavor and crunch! The delicious strawberry filling is very similar to a fluffy cheesecake. That’s because it’s make with cream cheese to give it that super creamy consistency, and mixed together with fresh strawberries, strawberry gelatin and fluffy whipped topping. 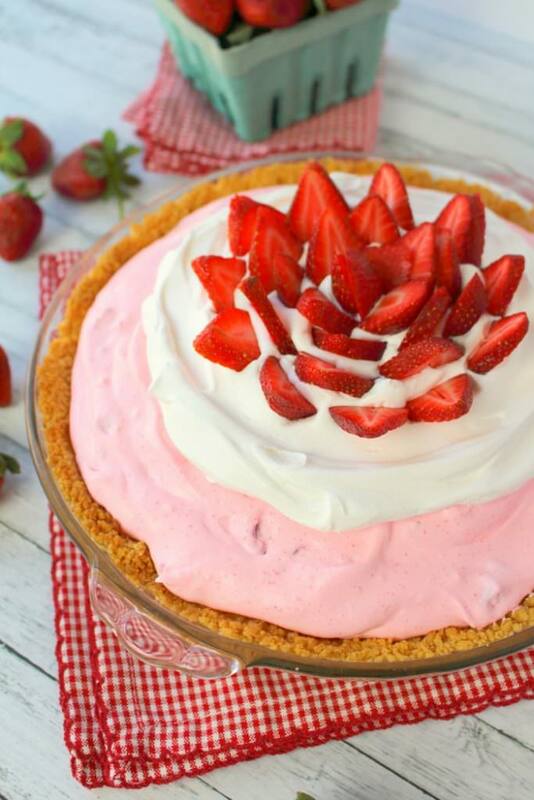 With additional whipped topping and sliced fresh strawberries, this amazing strawberry pie recipe becomes a show-stopper of a dessert! 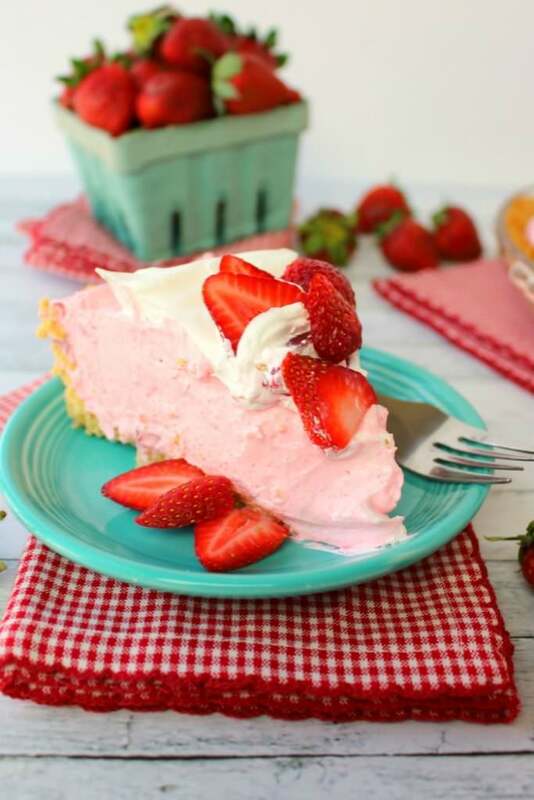 Slice up this pie, and you’ll discover it’s studded with big chunks of fresh strawberries inside that pretty pink filling. 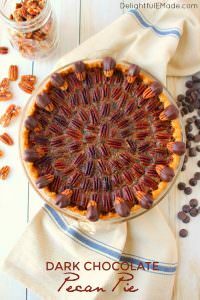 It makes such a beautiful dessert for Easter brunch or dinner, to a Mother’s Day celebration or a summer cookout! 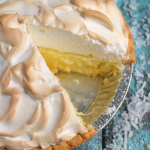 Your guests will think that you worked all day in the kitchen to make this gorgeous dessert, but in reality, it takes just minutes from start to finish. 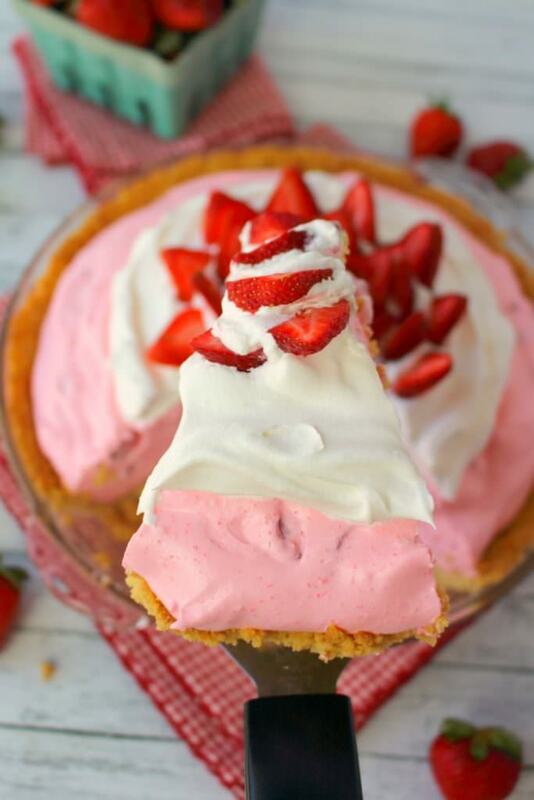 The most amazing strawberry pie recipe you'll ever have! 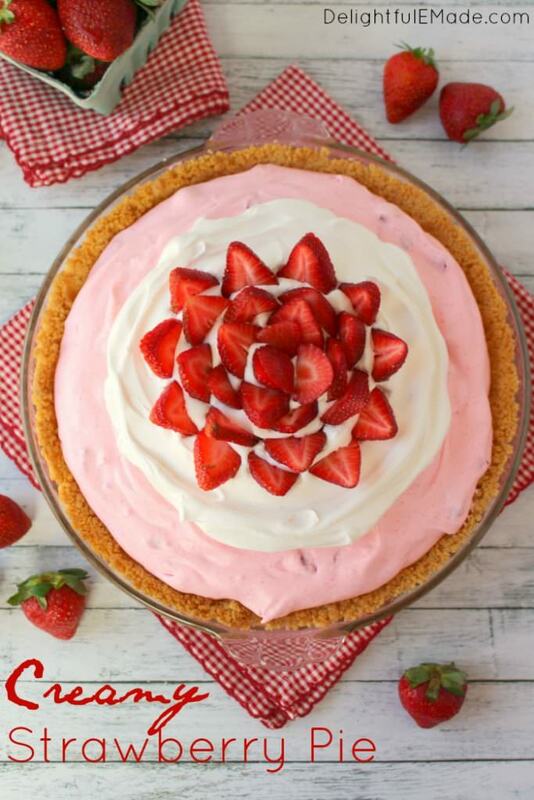 Not only is this recipe easy and no-bake, its made with fresh strawberries, cream cheese and a Golden OREO crust. 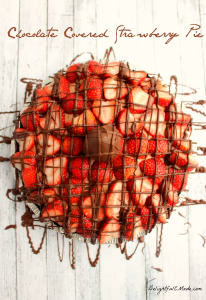 It's perfect for Easter, Mother's Day or any spring or summer celebration! In a food processor, crush the Golden OREO's. Stop the processor, pour in the melted butter, and pulse for another 10-15 seconds to combine the crumbs and butter. Mixture should resemble gravel. 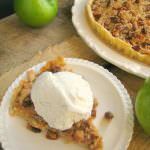 Pour crumbs into a 9" pie plate, and firmly press into the bottom and sides of the plate. Refrigerate. 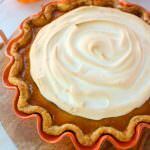 For filling: With a hand or stand mixer, cream together the cream cheese and sugar until smooth and fluffy. 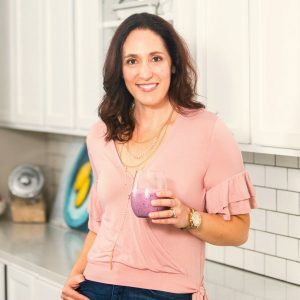 In a separate cup or bowl, pour the gelatin mix into the milk, and stir to dissolve. With the mixer running on low and fitted with the whisk attachment, gradually pour in the milk mixture into the cream cheese, stopping occasionally to scrape down the sides of the bowl. Continue until milk cream cheese mixture is smooth. Using a rubber scraper, fold in half (8 oz.) of the whipped topping. Fold in the chopped strawberries until mixture is completely combined. 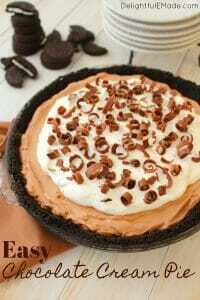 Pour the filling into the chilled crust and refrigerate for at least 2 hours. 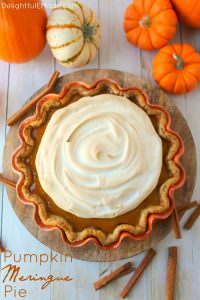 Just before serving, top the pie with additional whipped topping. (Feel free to add as much or as little as you like.) Add the sliced strawberries to the top of the whipped topping. Slice and serve. For a more firm crust, bake in a 350 degree oven for 5-7 minutes. 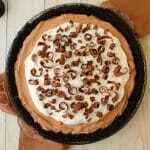 Yes, I realize this makes this recipe no longer no-bake, however, this will help the pie hold its shape when sliced.